Mr. Leonard Douglas “Doug” Kilgore, age 62, of Olive Hill, Kentucky, passed away Thursday afternoon, November 8, 2018, at his residence. He was born January 3, 1956, in Columbus, Ohio, a son of the late Leonard and Eva Golden Thomas Kilgore. Douglas was of the Christian faith and he enjoyed being outdoors, ginseng hunting, gardening and spending time with his family and friends. In addition to his parents, he was preceded in death by one sister, Shirley Webb. 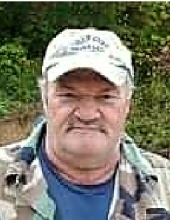 Douglas is survived by his wife of 29 years, Donna Kilgore; two sons, Aaron Wayne Kilgore and Jeremy Douglas Kilgore, both of Olive Hill, Kentucky; two daughters, Brittany Yvonnie Kilgore and Kayla Dawn Shelton (Jonathan), all of Olive Hill, Kentucky; eight grandchildren; two brothers, Granville Kilgore (Linda) of Olive Hill, Kentucky, and Ernie Kilgore of Vanceburg, Kentucky; four sisters, Garnett Butler, Jewell Webb (Lowell), Judy Mauk (Escue), and Sharon Pennington (Johnny), all of Olive Hill, Kentucky. He also leaves many other family members and friends who will sadly miss him. Globe Funeral Chapel in Olive Hill, Kentucky, is caring for all arrangements for Mr. Douglas Kilgore. "Email Address" would like to share the life celebration of Leonard Douglas "Doug" Kilgore. Click on the "link" to go to share a favorite memory or leave a condolence message for the family.